My wife is starting to take New Testament Greek at McMaster Divinity College, the seminary where I studied. But why do people who study for Christian ministry even need to study the original languages, such as Greek and Hebrew? This morning I actually used my Greek New Testament as part of my sermon preparation. I do this ever week, translating my passage from the Greek or Hebrew. But why do I do this? I will tell you first what isn’t my purpose. I don’t brag to my congregation or try to impress them with my Greek or Hebrew. I rarely mention anything about the Greek or Hebrew in my actual preaching. There would have to be a really good reason for me to say anything about it. So why do I translate from the Greek or Hebrew? One reason is that I studied these languages in seminary and by translating short passages each week, I keep those skills active. But that is not a good enough reason for me to put this time in. I find that translating a passage from either Greek or Hebrew helps me to get into the passage much better than just reading the English. I see things through my translating that I wouldn’t normally get. 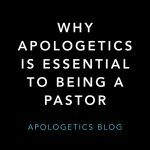 That doesn’t mean you can’t read or preach the Bible without Greek or Hebrew. But for myself, I find the act of translating to be very helpful for my sermon preparation. 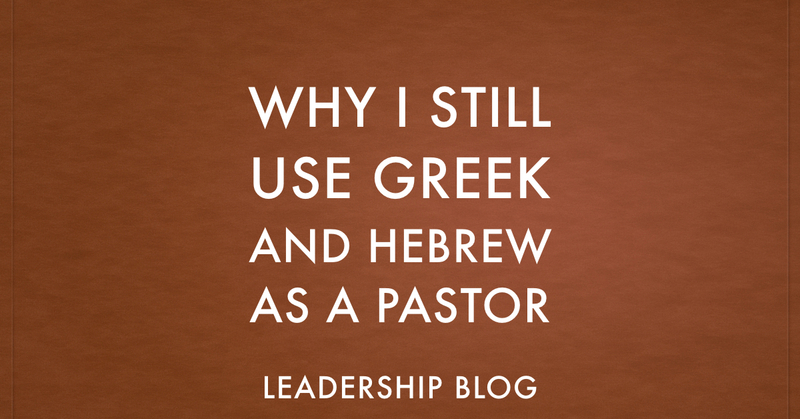 If you are a pastor, do you still use your Greek or Hebrew?